By way of methodology I’ve elected to draw on the vast repository of marketing material published by the commercial real estate and commercial interiors industries, primarily circulated by large contract furniture manufacturers. 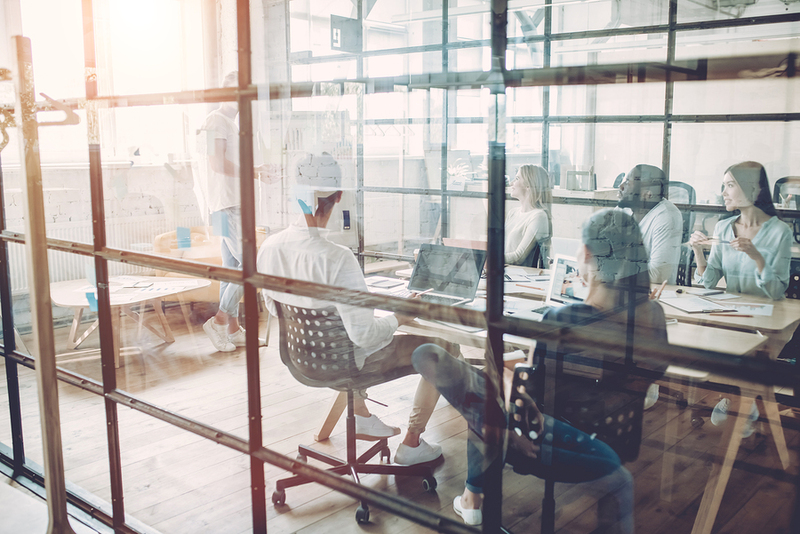 These and large architectural firms, are the dominant sources cited by those calling themselves Workplace Strategists. From there I’ve looked for supporting research themes from traditional academic sources relating to social psychology and change management. This approach leverages cutting edge industry material which may be perceived as inherently biased (they want us to sell us product) while maintaining a grounding in academia. In a study done in 2010, Daniel Kahneman and Angus Deaton analyzed 450,000 responses to the Gallup-Healthways Well-Being Index, a daily survey of 1,000 US residents conducted by the Gallup Organization and found that while emotional well-being also rises with larger income, there is no further progress beyond an annual income of ~$75,000. To frame this experience, I draw on Maslow’s theory on the hierarchy of human needs. In his 1943 paper “A Theory of Human Motivation” in Psychological Review, Maslov suggests that human beings have certain fundamental needs of the body and mind (see inset Figure I) that, until they’ve been met, prevent us from focusing on matters of higher brain function and social interaction. 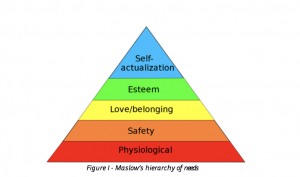 According to Maslov, certain needs dominate the human organism and are the source of all our motivation. When we apply this to our fundamental question of, What makes people happy at work? it seems obvious that an employee cannot be satisfied without a certain basic level of compensation, but true happiness, which I’d argue is a higher level of emotional well-being than simple satisfaction, requires more. To investigate this hypothesis, I set out on a quest. For source material I turned to some of the research being done by academia on happiness and employee satisfaction/engagement. But I also turned to industry by visiting furniture showrooms from the major furniture manufacturers like Steelcase, Knoll, and Teknion and collecting their material. I read articles on employee retention by large staffing and HR companies, and turned to my collection of research I’ve assembled from the last decade of workplace strategy. I even explored the framework of Agile software development initially proposed in the Agile Manifesto (2001). What factors in the work environment contribute to happiness? Or asked in another way; What is going on at work to lower our overall happiness? I decided to focus on identifying themes within the above-mentioned field of research that indicate factors that either promote or detract from high level of engagement, satisfaction, and a personal sense of wellbeing as it seems like if all these demands were being met then, provided there were no external factors at play, I suspect happiness would result.